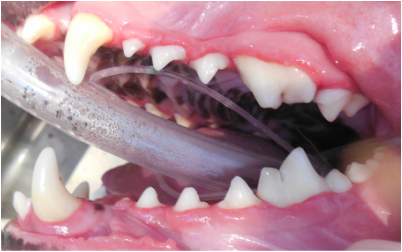 Our doctors and technicians have been given advanced training to allow us to offer the best options in maintaining or restoring your pet's dental health. 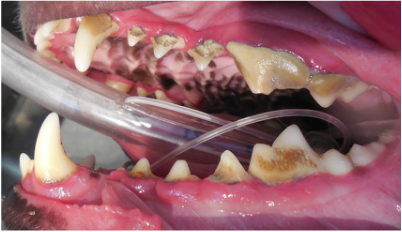 We routinely perform dental radiography to determine the extent of disease, including bone loss, periodontal abscesses, and tumors. Our goal of course is to preserve teeth but when that is not possible we perform surgical extraction of the diseased teeth and repair the area in a way to allow the quickest return to normal eating. We fully believe in pain management and perform nerve blocks before extracting teeth and utilize pain medicines for a few days at home. Your pets comfort is our first concern. To save teeth, we are also trained in root canal therapy.